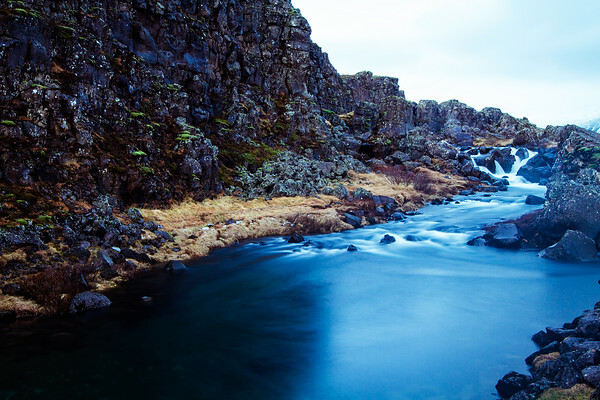 Thingvellir is the site where Icelandic Parliament was founded back in 930 AD and encompasses beautiful bodies of water with a dark history. There were 70 – 80 executions in Thingvellir from the 17th century onwards. Of those there are recorded 15 hangings, 30 beheadings and 18 women were drowned in the so called “Drowning Pool” which was where the bridge across the river is now. It is the only place of execution which is marked by a memorial plaque. I was captivated by the contrast of such beautiful scenery with its morbid past, which made it very special to shoot.